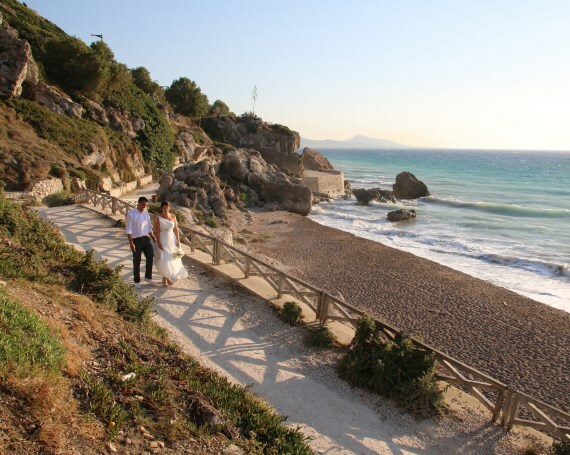 We have many wonderful local beaches on Rhodes where you can have your wedding ceremony, whether it is a small intimate wedding or with many guests. We have chosen a few public beaches that we feel have character, charm and of course sand. 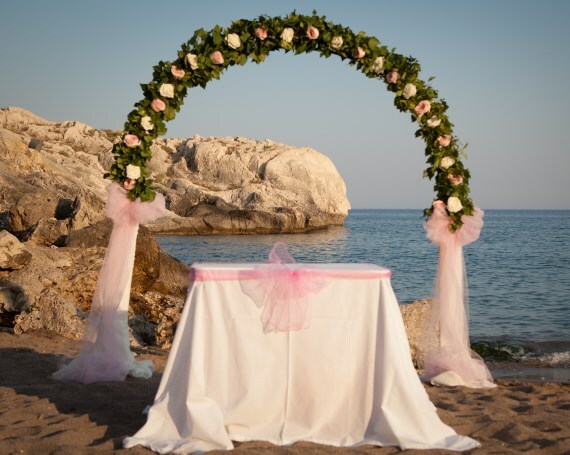 As the beaches are public and no additional hire or set up fees are required, we advise that you should have the ceremony later in the afternoon so the beaches are not busy. A wedding ceremony on Kalithea beach is very popular. It is one of the longest beaches on the island, covered in soft sand and crystal clear water. 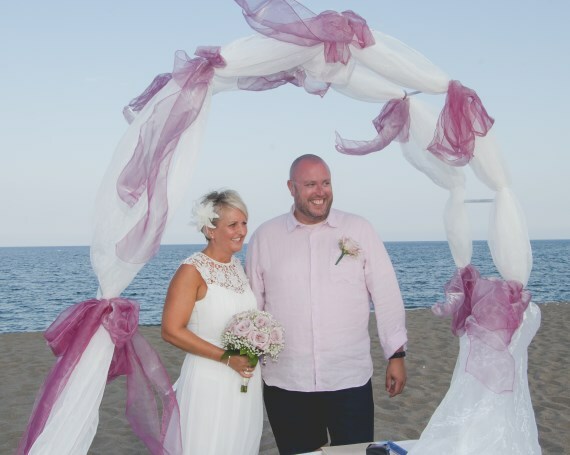 The ceremony will be pure and simple with the blue sky and sea as the backdrop for all your wedding photos. At this location there are no additional fees, you also sign the register on the wedding day. A small sandy bay at Kolymbia with rocky cliffs in the background. The bay boasts an amazing sunset as the backdrop for your photos. Above the beach are lovely traditional Greek tavernas were you can sit after the ceremony to enjoy the views and local cuisine. At this location there are no additional fees, you sign the register on the day following the wedding. A small secluded area sculpted between rocks, a great natural rugged style venue with paths winding around the rocks down onto the beach. The beach is sandy/shingle and the sea a beautiful turquoise colour. You will have photo opportunities with the sea view and the rocks and natural beauty surrounding the bay. At this location there are no additional fees, you also sign the register on the wedding day.